Bed bugs are on the rise in the United States. According to Bedbug.com, bed bug infestations have increased by %500 in just the past few years. This is due to the fact that bed bugs breed quickly and they are almost undetectable. People easily bring them home with them on their clothes without ever even knowing. Luckily for you, we have a reliable bed bug removal service in Puget Sound that really works. There are a few effective ways to get rid of bed bugs, but one of the most reliable methods is heat treatment. This is a great option for families with pets, small children, or just anyone who is nervous about the use of pesticides in their home. Heat treatment is 100% safe, green, and effective. This is such an effective treatment because you don’t need to know the exact location of the bugs, heat penetrates your entire home, so any and all bugs that exist will be killed. So even if bugs are missed in an inspection, heat treatment will take care of them. Bed bugs do not have to be a problem for you. We have the experience and the expertise to give you a solution that will work for you, your family, and your budget. 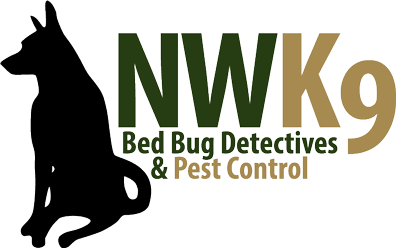 If you think you have bed bugs, do not wait, call us today for your inspection.